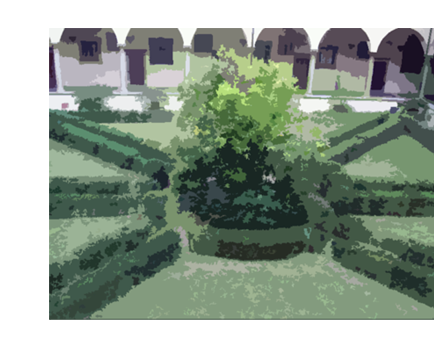 Pocket parks are small green surprises found in unexpected corners or between buildings in the city. Pocket parks often surprise you as you are walking by providing a tiny glimpse of nature from of the street. People step into pocket parks to relax, read the paper, sit down, and take a more peaceful moment. 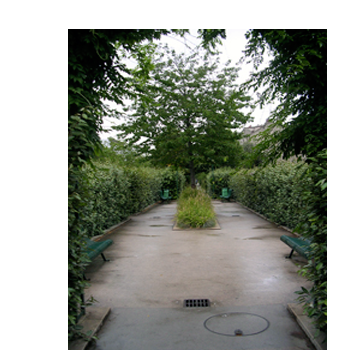 Pocket parks attract city birds and small animals and provide permeable areas in the dense urban environment. Trees, plants, flowers, and water fountains or falls are often found in pocket parks. While these tiny green areas provide a place for repose and relaxation, pocket parks also invite community interaction and meeting. These tiny parks actually include small performance spaces, event spaces, play areas for children, spaces for meeting friends, and places to enjoy your lunch. Pocket parks are social incubators and a welcome reprieve from the hustle and bustle of urban life. Stop by, step in and enjoy your local pocket park! Now that you have had the opportunity to look at and visit pocket parks, it is time for you to propose a pocket park in your neighborhood. Using your mind’s eye, imagine where a new park could be created. Think of a vacant lot or an underused parking lot. Find a place to plant a bench and a tree. First of all, choose a site. What kinds of improvements would a pocket park bring in this location? Using Google Map, find the dimensions of your site. Print your site on an 8 ½ x 11 sheet of paper. What age groups of people would you like to engage in your pocket park. Interview people from this age group and make a list their specific needs and ideas. What activities can you envision taking place? For each activity consider need for sun, shade, and water needs. On your plan create zones that consider whether the zones are passive or active, loud or quiet. Bring the above information together in a Design. Collage or draw your pocket park in plan and elevations. Label activity areas, hard materials and new landscaping plants and trees. Using the resources, look at pocket parks around the world. Create a research booklet of at least 10 parks with a single page of photos, sketches, and notes for each park. In addition to printing pictures of the park, make at least one perspective sketch (from the photographs) for each park. Make a list of the activities encouraged in the pocket park in two categories: active and passive. Passive activities include picnics, sun bathing, reading, nature appreciation, board games, socializing, community meetings, and art appreciation. Active uses include recreational activities like basketball and children’s play. Make an accessory checklist of each park. List benches, tables, game tables, sun decks, shaded seating, playground equipment, outdoor games (shuffleboard and hopscotch), flower gardens, botanic gardens, vegetable gardens, and lawns. Note if there are water elements such as ponds, waterfalls or fountains. Don’t forget public art and statuary. Compose your research information and label the pocket park listing the web resource. Check out your neighborhood and your city on Google Earth. Look for small slips of green spaces or vacant lots. Next, get a camera and a sketchbook and take a walk around your neighborhood or downtown. Find a pocket park. Record the park in plan showing the planted areas and hard walkable surfaces. Locate any trees. Label the entry(s). Record zones or areas of activities such as sitting, walking, playing. Make a list of possible activities that can occur in the pocket park. Locate bench areas or any special event spaces. Take pictures of different groups or individuals using the park. If possible, visit the park at different times of the day - in the morning, at lunch, after work. Does the community of users change? Do the activities change? 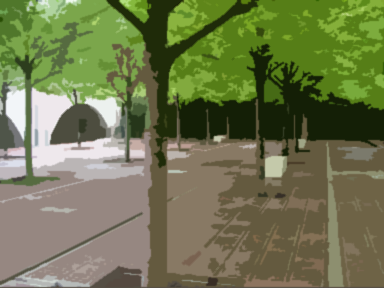 Research the history of the pocket park. Who created it? Who maintains it? Compose your notes, photos, sketches and drawings onto a poster board telling the story of life of a pocket park in your neighborhood or city. Pocket parks are usually 1-3 city lots. Pocket parks are private gardens. Pocket parks can provide a green oasis in a city. People can hold meetings in pocket parks. Pocket parks cannot have trees.